I have had a fairly lazy old day today, doing not much of anything really. It has been really cold and I was in my PJ’s early and now I am relaxing while watching “Masterchef” on TV. I love this show and I must say the guest chefs and the contestants are very talented and create some wonderful meals but being a good cook is not something that has ever or is on my “To Do” list. I do also love eating but I will just leave any kitchen master pieces to the chefs of the restaurants I may visit. “Live to Learn”: All Aussies would know this fact, but I thought I would share it with my international friends. 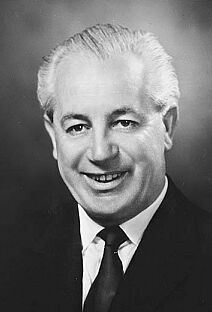 Lost Prime Minister - In 1967, Harold Holt, the Prime Minister of Australia went for a swim at the beach and was never seen again. Theories about his disappearance include kidnapping by a Russian submarine, eaten by a shark or being carried away by the tide. “Davine Time”: Spending a lazy day and not feeling guilty about it. Life is Good. Right on Davine, lazy days are so much fun when a person has been as busy as you have been lately. One of these days I'm going to do exactly the same thing. Hope your having a fantastic weekend! Sometimes, lazy moments are definitely needed & should be appreciated with the busy lives we have to live. Good you enjoyed such a day Davine! Lazy days where you stay in your jarmas and dressing gown are good. Everybody should have them at least once a month.